National Geographic award-winning travel company Kensington Tours in tandem with Adventure Science and the support of Delta Air Lines has created the first ever expedition to the remote unexplored northern section of the Strict Nature Reserve of Madagascar’s Great Tsingy. From October 1st -16 2014, a highly skilled team of explorers and scientists will trek, climb and crawl through the UNESCO World Heritage Site to document the secrets of 100 miles of the region’s labyrinths of sharp rocks, towering cliffs, endangered creatures and deep caves. This ground-breaking 21st century exploration named 100 Miles of Wild: Madagascar’s Limestone Labyrinth, will showcase one of Africa’s final frontiers. 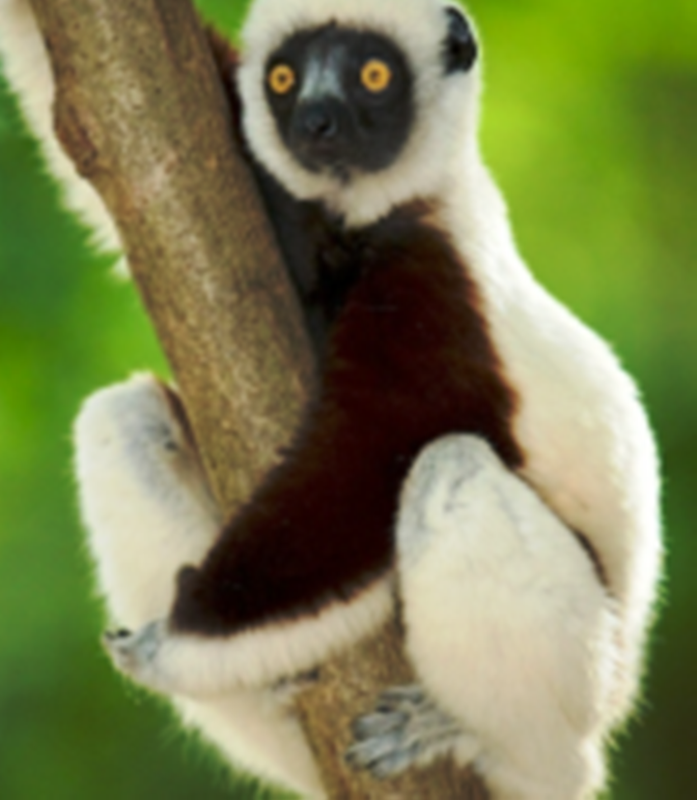 The expedition has multiple goals; to expand the knowledge of lemur distribution within the park to estimate population numbers; to identify diversity and potential new species; to locate Jurassic period dinosaur mega tracks that are believed to exist in the area; to conduct preliminary investigation into an unexplored system of caverns and caves; and to create a detailed map with accompanying photos and video in order to share their findings with the rest of the world. The expedition will be led by Dr. Simon Donato, a Kensington Tours’ Explorer in Residence, star of the Esquire Network’s Boundless and founder of Adventure Science. In addition, two other Kensington Tours’ Explorers in Residence will join Donato in this challenging expedition, including George Kourounis, an elite global adventurer and host of The Discovery Network’s Angry Planet series and Travis Steffens a renowned primatologist who studies the biogeography of lemurs in Madagascar. Rounding up the 14 person the team are an engineer, climbing experts, a former US Army ranger, a communication specialist, Malagasy Park officials and a local Kensington Tours guide. Kensington Tours offers custom and private guided tours to over 90 countries worldwide, providing its guests with the flexibility and luxury of a tailor-made journey handcrafted by a team of destination experts. Kensington’s unique Explorers in Residence Program celebrates the great tradition of global exploration by supporting expeditions and allowing the public to follow the stories of acclaimed modern day adventurers including Royal Geographic Society Fellows, Explorers Club Fellows, TV personalities and other extreme travelers. Adventure Science is a volunteer organization that pairs adventure athletes with scientists to explore remote regions and conduct scientific research as well as humanitarian projects. Delta Air Lines, as the official airline partner of this expedition, is supporting exploration, wildlife preservation, scientific discovery and global stewardship.